Most everyone has heard of smart TVs, but if you’re thinking of upgrading your current TV to a smart TV, it does pay to learn as much as you can about it. First of all, are smart televisions really ‘smart’? If you’re planning to get a television upgrade and are seriously considering getting a smart TV, here’s your essential guide to smart TVs: what they are, what they can do, what you can expect from your smart TV, and more. 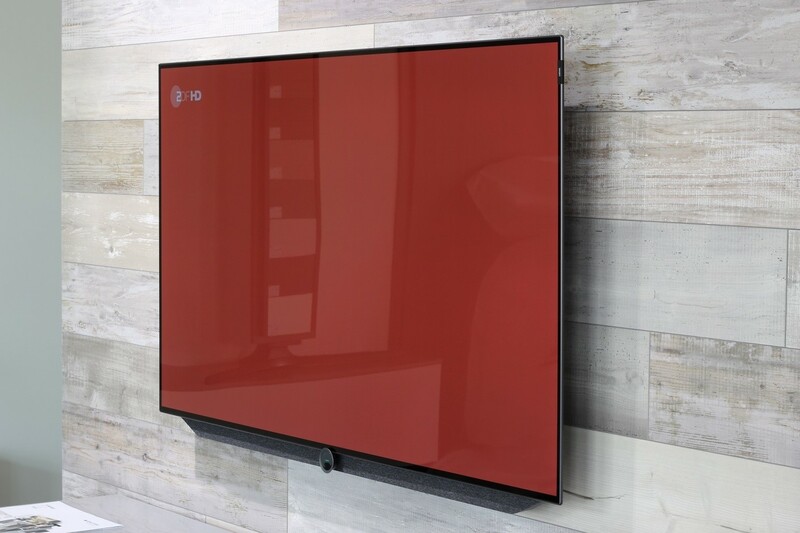 The original term for smart televisions was ‘connected televisions’ but they were later called smart televisions by brands such as LG and Samsung. The term refers to any TV which you can connect to the Internet so that you can access services for streaming as well as apps for entertainment, such as video rental on-demand, web browsers, and Internet music. Today, some models even feature voice-recognition capabilities, such as Alexa, and there are also other models which can now find films and shows across apps and live programmes from satellite or cable using voice-driven search. Many smart TVs today are also compatible with various other devices in the modern household such as door locks, sensors, and lights. Smart televisions make use of either built-in WiFi or a wired connection (Ethernet) to connect to a home’s Internet network. Most smart TV models now have built-in WiFi, but you should check the Standard WiFi connection which comes with the TV if you are planning to stream films. Also, if you have a large home, you should check the coverage of your WiFi – for instance, if your router is in the cellar and your smart TV is on the 2nd floor, your unit may not be capable of smoothly streaming video from providers such as Netflix. You need to check that your smart TV gets a strong signal from your wireless connection, although you can remedy a weak signal by getting a good router which can support 802.11ac. There isn’t any standard OS (operating system) for smart televisions. Each manufacturer uses various software and different graphics. But most smart televisions can support services like Netflix, Amazon Prime, Pandora, and Hulu. Bear in mind, though, that some units can only offer several apps which hardly ever change, while other units can provide different screen offerings. The app arrangement per smart TV can also vary depending on the manufacturer, with some TVs featuring a single row of app icons and others displaying a full-screen app menu. While smart televisions are becoming more advanced, be aware that they can still hang or crash, much like a computer. Smart TVs use computer chips for processing videos and multiple screens as well as accessing the Internet, and units also make use of memory for buffering music and video. Some apps can freeze or crash the TV, and upgrades have resulted in a loss of power as well. But the units are changing and becoming better, and often, all you have to do is turn it off and turn it back on after a few minutes. Of course, whether you go for a smart TV or a regular TV, you should also consider its placement and your viewing comfort. For this, you can go for a TV wall mount or a display stand, although most people go for wall mounts since they can be tilted and angled for optimum viewing. Finding that dream home – perfect location, perfect size, perfect price – it is a tall order. An even taller order is deciding how to decorate it, not only to enhance its value but also to suit the lifestyle of its owner. Many of our Calgary real estate home buyers struggle to get their new home they way they want it. If the owner is a Martha Stewart-like maven, maybe he or she will make quick work out of pairing paint and patterns, furniture and flooring, and window treatments and wallpaper. Most homeowners, though, will find the task daunting, if not downright overwhelming. Here are some directives for those who dare to dabble in interior design. Flooring choices abound, and cost might make some of them prohibitive. Tile, wood and carpet are the three primary materials, and choosing one (or a combination) should depend on how the room is going to be used, and who is going to use it. Weather can play a role in the decision, too. 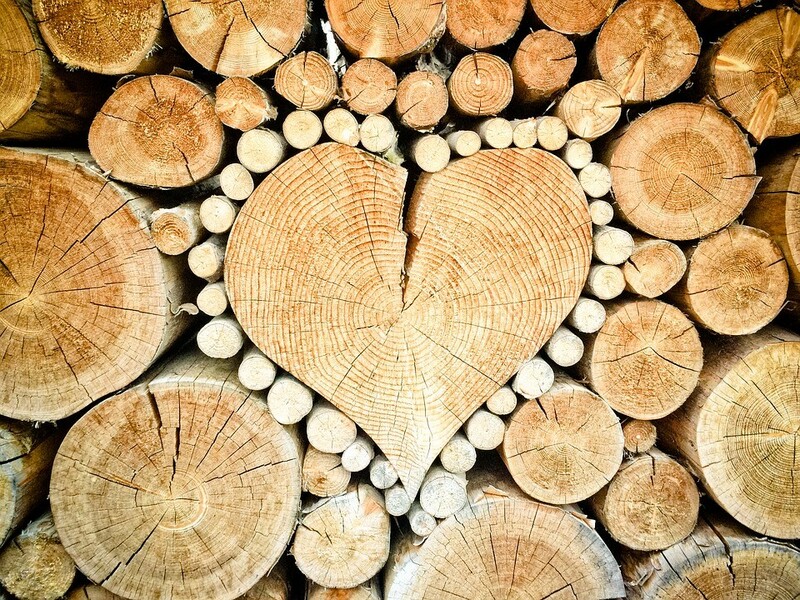 A hot and humid environment wreaks havoc on wood, for example. Furniture placement can create harmony in the home and establish scenes or vignettes. Consider the focal point of each room – the window, the television, the back yard – prior to plopping down the bed, the couch or the patio table. Angled furniture adds dimension and interest to interior spaces. Setting furniture in the middle of the “great room,” for instance, can break up the area and add cohesion. Home décor, including artwork, wall accents, tabletop objects and area rugs, are a little more personal. The best way to go about adding flair is to decide on a theme and seek out a dominant piece around which to build. If the theme is tropical palm trees, as an example, find an appealing print or a colorful wall hanging or a synthetic palm tree in a pretty basket to set off the room. Decorative items such as pillows and ornaments strategically placed can add so much to a room. It can take a boring room to cozy and luxurious with just a few strategically placed items. But be careful to not over clutter your areas. Finally, remember there are no hard-and-fast rules, and thinking “outside the box” can yield creative results. Page through decorating magazines, or watch the HGTV channel, or go online to search for inspiration. The goal is to turn that dream home into a dreamy environment. Regardless of how many family members you’ve got, it’s not easy to maintain order in a household. You have to run a tight ship to ensure chores get done, meals are cooked, homework gets done, and chaos doesn’t erupt around every corner. Cleaning at the end of the week sounds like a better way to procrastinate than to keep your house clean – especially when you’ve got more than two people living in your home. Granted, there are cleaning tasks better suited for weekly or monthly maintenance, like dusting vents and cleaning underneath the refrigerator. The tasks you don’t want to put off for the end of the week are things like sweeping the floor, vacuuming, running the dishwasher (or washing dishes by hand). Kids are often overwhelmed by homework assignments regardless of what grade they’re in. It’s unfair to ask them to spend several hours of their weekend cleaning the house. The weekend is the only free time they get to themselves. Instead of putting everything off until Saturday and Sunday, delegate cleaning tasks to your kids throughout the week. The tasks will take less time to complete, so it won’t be such a drag for them. Give everyone a specific task to stay on top of throughout the day. For instance, the person assigned to dish duty should be loading the dishwasher anytime they pass by and notice dishes in the sink. The person assigned to toy cleanup should be gathering up random toys that didn’t make it back to where they belong. The person assigned to trash duty should be taking out the trash bags before they overflow, cleaning out the can, and replacing the bag. Teach your kids to “clean as they go” in the kitchen, and everywhere else. This will make everyone’s cleaning tasks easier. Nobody wants to scrape dried oatmeal out of five bowls because the people who ate the oatmeal didn’t rinse their dishes. Don’t be so quick to change up the tasks every week. It seems logical to give everyone a variety so they don’t get bored, but when a person performs the same tasks repeatedly, those tasks become like second nature. Also, be sure to assign age-appropriate chores. If your kids are always bumping into each other in the hall, fighting over the bathroom, or squabbling in a small kitchen trying to prepare a meal, you don’t have enough space. It’s normal for space requirements to grow with your family. You’ll keep yourself, and your family sane by finding a way to move to a bigger house. You don’t need to move into a mansion, but you’ll want to find a home with more square footage and a layout that won’t cause those hallway crashes. Sure, you might be happy in a small house, but your kids probably aren’t. With a big house comes more responsibilities. You’ll have more rooms to clean, more surfaces to dust, and more trails of toys to trip over. 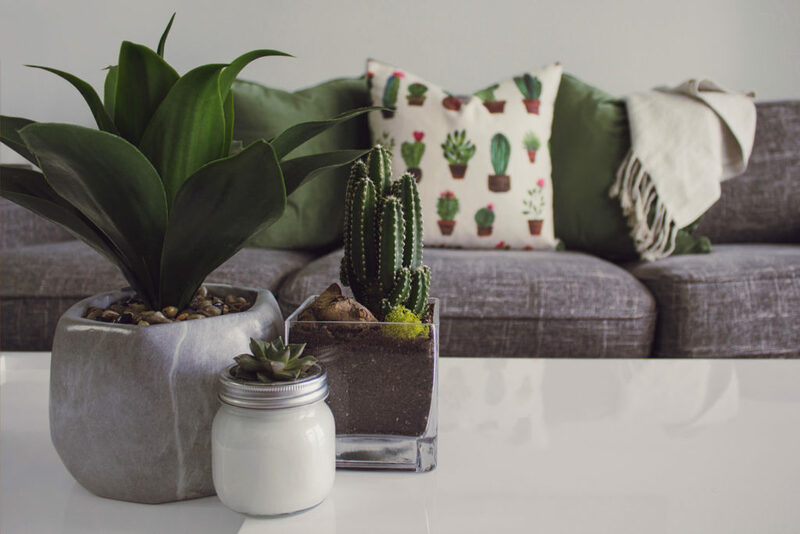 As Green Residential points out in an article titled How to Stay Sane When Moving to a Bigger House, neglecting cleaning in a big house can eat up an entire weekend. If you’re going to move, it’s important to have an established system for completing household chores before you get into the new place. 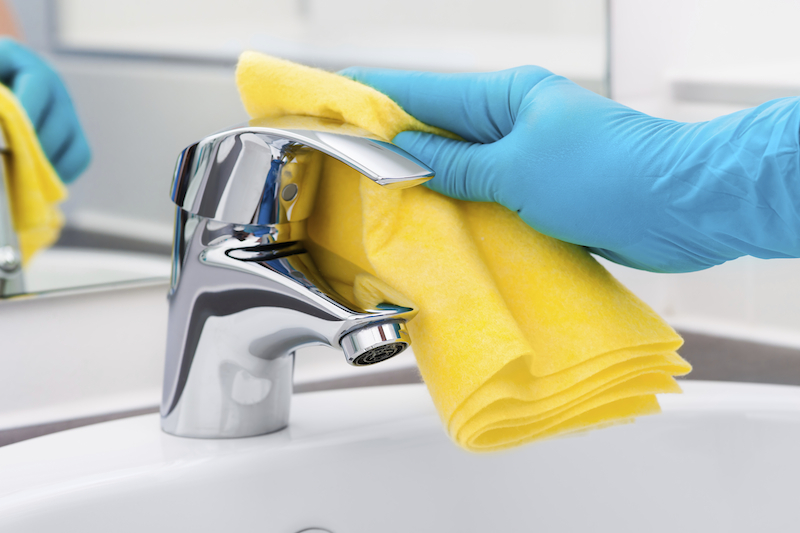 If the amount of cleaning your home requires is too much for your family, hire a professional cleaner to do the majority of it. If your kids are old enough to receive an allowance, have them contribute something to pay for the cleaner, even if it’s just five bucks. It’s a great opportunity to teach them how money can be exchanged for tasks they don’t have time to do. Just don’t let them get out of doing all of their chores. Save the dusting, dishes, and vacuuming for your family. Don’t let your kids wiggle out of chores they’ve agreed to do. If there’s a conflict and they want to sleep over at a friend’s house on trash day, teach them the value of their word by not allowing them to abandon their task. After that experience, then let them bargain with others in the family to trade tasks or cover for each other. Training your kids to support each other and handle conflicts on their own means they won’t come running to you every five minutes and you can get some downtime.